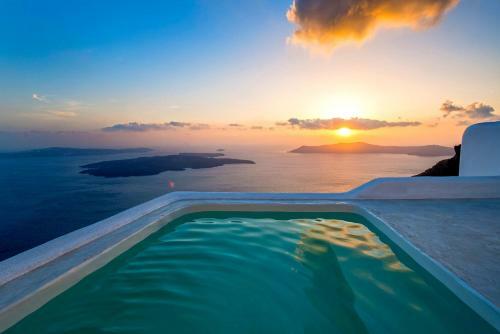 Annabel`s Villas is located in Imerovigli, Santorini. Annabel`s Villas common facilities include bar. The property provides accommodation in honeymoon suite and other might be available upon request. Room amenities include air-conditioning, heating and more. The Wi-Fi is free and available in all areas of the villa. Annabel`s Villas does not accept pets.